Texas-born jazz saxophonist Dewey Redman crossed the United States as a freelance musician during the early-to-mid 1960s before finding success within New York City's avant-garde jazz community. This success was founded by his membership in the Ornette Coleman Quartet, a group he was a part of from 1967-74. A child of the Depression era, Redman might have stayed the safe and secure course of his early career as an educator in his native Forth Worth, but he chose instead to seek his fortune in the jazz clubs of Manhattan. From Texas, Redman migrated westward to California where he honed his craft before moving to New York. Versatility and innovation are the trademarks of his experimental sound. Walter Redman was born and grew up in Fort Worth. He started off on clarinet at 13, playing in a church band. Not long after, he met Ornette Coleman when they both played in the high school marching band. Their friendship would become one of the crucial links in his life. Typical of late-1950’s jazz tenor saxophone players, Mr. Redman was informed by the sound and style of Dexter Gordon, John Coltrane and Sonny Rollins. But he didn’t immerse himself in technique and harmonic theory, as those musicians did, or lead a band until his mid-30’s. Until then, he said, he was largely playing by ear. After attending Prairie View A&M University in Texas, where he played alto and tenor saxophone in the college band, and then a stint in the Army, Mr. Redman taught fifth grade in Bastrop, Tex., near Austin. In 1959 he moved to Los Angeles and then San Francisco, playing with Pharoah Sanders, Donald Rafael Garrett and others. Redman missed the ascension of his old friend Ornette Coleman, moving to New York to join the band only in 1967. His performances with Coleman over the next seven years, on albums like “New York Is Now!,” “Love Call” and “Science Fiction,” on which his tenor saxophone meshes with Coleman’s alto, are good ways to understand some of the great jazz of the period, intuitively finding a third way between general conceptions of the jazz tradition and the avant-garde. Redman also recorded with Charlie Haden’s Liberation Music Orchestra in 1969 and then, beginning in 1971, spent five years off and on with a band known to historians as Keith Jarrett’s American quartet, which included Jarrett, Haden and the drummer Paul Motian. Underrated by the public and ever important to musicians, it played a music that was more determined by harmonic structure than Coleman’s, but equally challenging and prescient in its drive to make organic sense of various schisms in jazz since post-bop. 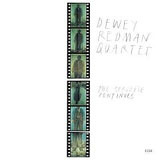 Ornette Coleman then provided the impetus for the next phase of Redman’s work, but in absentia. Old and New Dreams was a quartet of mainstays from different Coleman bands: Redman, Haden, Don Cherry and Ed Blackwell. They recorded and toured from 1976 to 1984, relying mostly on Coleman’s repertory. Despite an illness that slowed his pace near the end of the 1990s, Redman continued to perform. He collaborated on Tom Harrell's “Art of Rhythm,” released in 1998; the album was lauded by some critics as the best jazz album of the year. Redman's 1999 collaboration with Cecil Taylor and Elvin Jones, called “Momentum Space,” also received much attention. Though he had stopped playing with Coleman’s bands, he never stopped proclaiming his admiration for his old friend’s work and performed brilliantly during Jazz at Lincoln Center’s 2004 concert of Coleman music, with Coleman in the audience. Redman often led his own bands, usually quartets with piano, bass and drums. Most recently his band included the pianist Frank Kimbrough, the bassist John Menegon and the drummer Matt Wilson. He also recorded with his son Joshua Redman, the popular jazz saxophonist. The elder Redman's 1992 Enja album, “Choices,” is a combined effort between father and son. The two were also heard that year on African “Venus.” His last recordings were on his son’s record “Back East,” in 2006. He played his final concert on Aug. 27, 2006, at the Charlie Parker Jazz Festival in Tompkins Square Park on the Lower East Side of Manhattan. All About Jazz musician pages are maintained by musicians, publicists and trusted members like you. Interested? Tell us why you would like to improve the Dewey Redman musician page.